Seriously, this haul is from late April/early May of 2014. The pictures have sat on my computer and camera for almost a year, and now they shall see the light of day. Let's be honest: you only look at hauls to live vicariously through others, right? At least that's what I do. Thus, when the haul is from doesn't really matter! I've never taken someone's on-the-spot review of a product to heart, anyway. I want a dedicated post/video to reviewing the item(s) in question! Hauls are more.... someone trying to describe what they see and smell, as well as boasting that they got a killer deal. Which is kind of why I'm posting this. Want a look into the mind that is Liz's? Want to see my crazy buying logic? Want to take a trip inside my crazy brain? Then enjoy yourself at the end of this post. Or the middle. Or any part of this blog, really. Anyways, on to what I got! Obligatory box shot because I like looking at them in other people's hauls. The little bubble burrito was a perfume sampler. This box had brown paper on the top, but besides the little bit of bubble wrap here there wasn't anything else in terms of protection. This isn't bad, just something to note. The only things that were glass that I have here was the perfume sample and the French Lavender & Honey perfume, which is in a box and shipped just fine. The rest was plastic that I wasn't too concerned about. Please don't click to zoom on this picture. The ottoman is covered in dog hair. Diana used to love sitting on that right next to me while I played games on the computer. I think it's really easy to figure out what I got, but I'll try and break it down for you here. Seriously, I did not set up this shot at all with the thoughts of explaining what it was I bought. The big blue bottle in back is a fine fragrance mist in Morocco Orchid & Pink Amber. The foaming soaps left-right are Berry Sangria, Island Breeze, Coconut Cove, and Aloha Orchid. The little travel size perfumes left to right are Velvet Sugar, French Lavender & Honey, and Pure Paradise. The big perfume in the middle is French Lavender & Honey and is honestly the only reason I made this order. More on that in like 3 lines. If you're interested in that kind of stuff. I rant a lot. The little fragrance tester is Endless Weekend. I don't describe scents well, so I just won't do it here. Anyways, on to my buying logic. I'm going to take a moment to say it's really awesome and yet surreal that I was able to find my breakdown on buying this. I knew I'd broken down the buying process to Michael in a letter while he was at basic, and I've just found that letter. I also took some time to read about what else was going on in that time, and around this moment I was super excited because our time apart with limited communication was over halfway over. I'd also gotten to the point where seeing Michael at basic wasn't just a dream, it was a reality. Our money situation had cleared up (it took almost two months for his paychecks to start coming in... bills were scary) and we were back to not only making bills, but putting money in savings! Of course, I celebrated by placing a relatively small order. Bath and Body Works had eau de parfum bottles for $20, or almost 50% off. 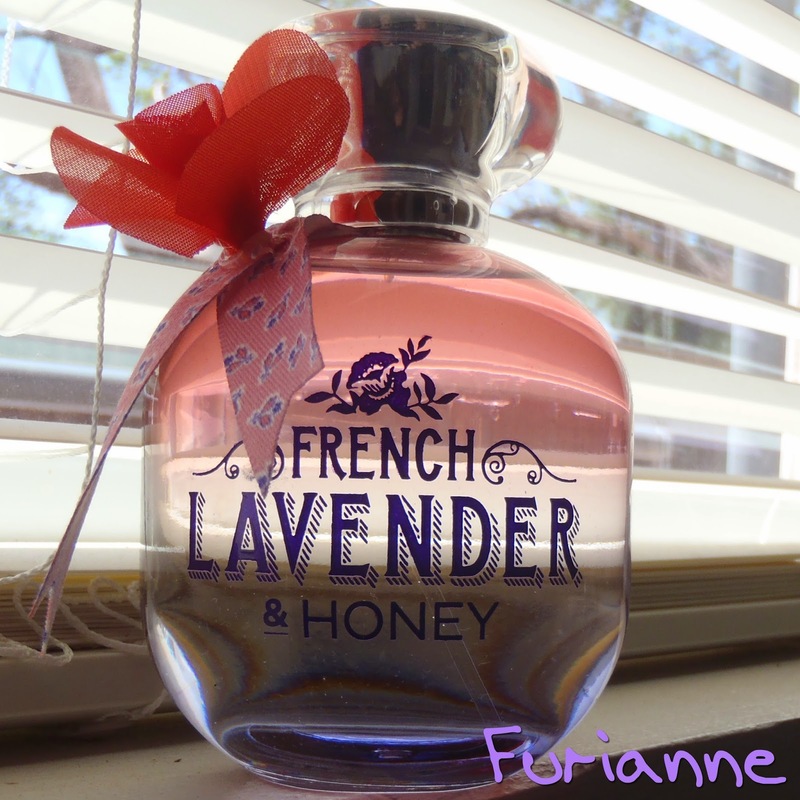 I'd had my eye on the French Lavender & Honey bottle, as by that point I'd fallen completely in love with the scent. I had a smaller sample size of the perfume and liked how it performed so I decided to buy a full size perfume. 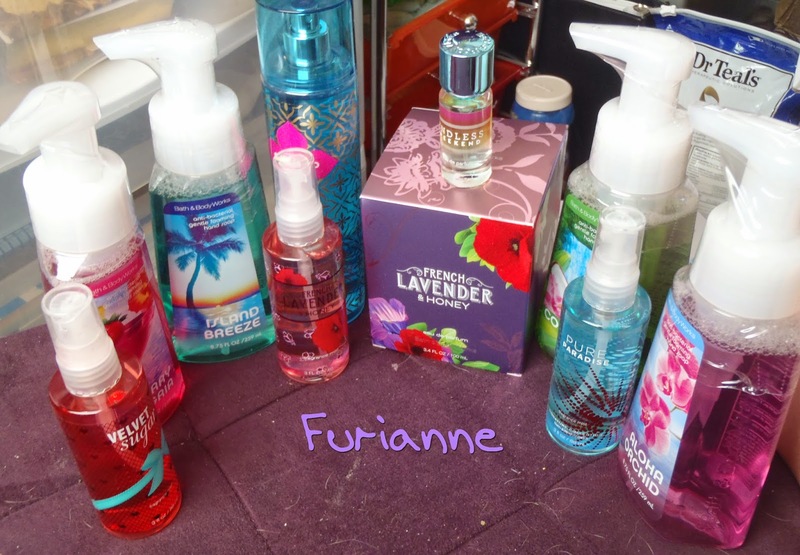 While here I added in some hand soaps that were $3 on the site, as well as the 3/$12 travel sized fragrance mists. Out of curiosity I decided to pick up the $4 Endless Weekend sample, and a $6 full sized fine fragrance mist. If you're keeping up with the math here, we have $80 worth of product ($79.49 technically. I still have the actual math from their prices in this letter LOL) for $54, not including shipping. That alone isn't enough to sway me. I don't care how much I save; I care how much I spend, and even better, break it down to how much I spend per item. Including shipping. At this point, I would have spent $63.33, making my price per item $6.33. Not good enough. We must go deeper! Long story short, I paid $43.84 for all of this. Shipping included, or rather, taken off because I didn't pay shipping. That makes my overall average for every item $4.38. Which may be steep for the smaller items, but keep in mind my $15 (with coupon) full size perfume. Take that off (leaving the tax in because ain't nobody got time fo'dat) and the average is ~$3.20 per item. TL:DR Stack your coupons/promotions, yo. Also, SHIPPING IS PART OF YOUR PRODUCT COST! One of my relatives likes to boast about how much she saves on stuff online, but if you question her enough you'll realize she's spending more on shipping than she would for the item normally. If you can buy something for $10 in store, and buy it for $7 online with $5 shipping, it's not cheaper to go online! AAAUUUUUUGH. So there you have it. My buying logic plus an opportunity to oogle some pictures of products that you may or may not want but in reality don't care because all you're doing is feeding your need to shop by looking at what others have bought. What? No, I'm not projecting myself onto others.